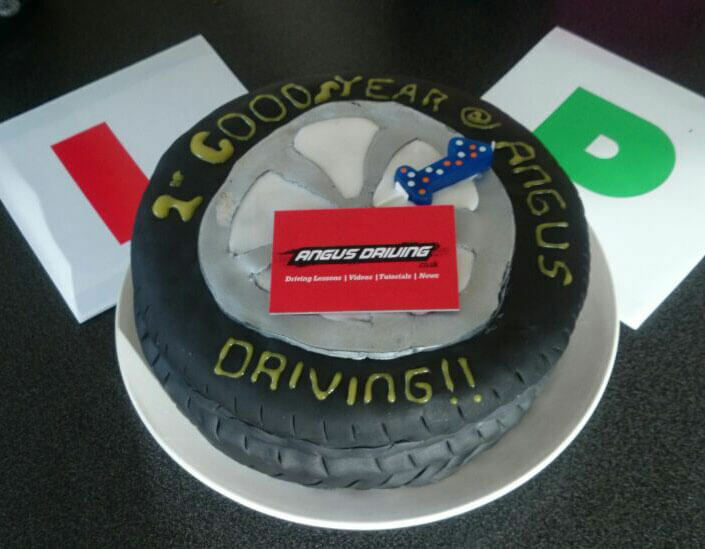 That is now one year that Angus Driving has existed, it has been a very fast year with lots of excitement and achievements over the last twelve months. I remember making the move to leave the AA driving school and set up my own Edinburgh driving school. The first few months I kept on wondering if people would still get in touch for driving lessons. Would I be able to complete with the other Edinburgh driving schools and national brands. Working hard at the end of the summer 2014 a whole new website was launched. This included driving videos and information about driving lessons all designed by Used Future. Watching the growth from there has been really exciting! I have managed to get just under 65 people through their driving tests over the last year, with a huge number of them being first time passes which is incredible. You can see some of the recent passes in the gallery section of my website . All of this would not have been possible, without the people who have chosen to use my Edinburgh driving school for driving lessons over the last year. Some have also been so kind as to recommend Angus Driving to others. I am continuing to develop ideas, and keep up with technology to provide the most up to date ways of teaching. Recently I have bought a set of cameras for my car which are hardwired and continually film driving lessons. This allows instant replays, so during driving lessons I can show people mistakes which they have made. They can then learn from these very quickly and advance their skills rapidly. I am continually trying to film new driving lesson videos for my website, and managed to go over 100,000 views on my YouTube channel this year which was also incredible. Hopefully the second year is going to be just as full and as exciting as the first, and will put Angus Driving in with the top Edinburgh driving schools, thanks to everyone for your support.